Parwaaz Hai Junoon by Momina & Duraid productions and distributed by Hum films left me confused. I was not sure as an audience what filmmakers wanted me to focus on. IT's a brilliantly performed, beautifully shot , well directed and technically superior film but also at the same time narrative has so many sub stories scattered throughout to call it a complete film. Let me start with the script/ screenplay and I believe this was the weakest part of this production . Not because story had loopholes or it was not logical but only because it was scattered. There were so many sub stories and if this was written as 12 episode drama then one could have done justice to all the stories and as an audience I would have enjoyed more as well. Also I believe narrative also got affected by fun and courageous display of Pakistan Air force lifestyle, which was repetitive and as a Pakistani I have seen it so many times before whether it was Alpha Bravo Charlie or Sunehray Din drama serials from early nineties or the most recent Sanam Baloch starrer biopic of Pakistan's first female fighter jet pilot. It's just not fascinating anymore to carry a film on it's own. Toward the end film started to drag and overall elements appeared disconnected with out the required flow. 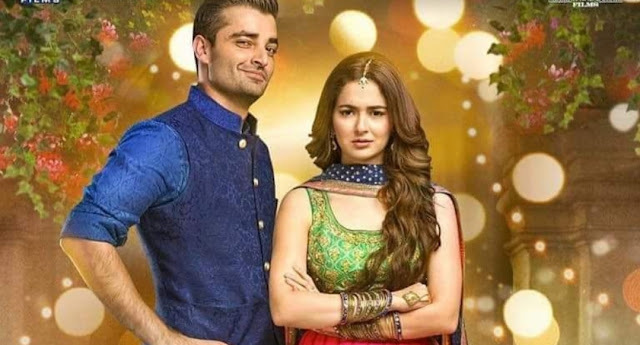 I guess just like previous Hum film release Bin Roye, we will get a drama serial with extended episodes some time later. Apart from the scattered screenplay and disjointed narrative, all other elements of this production from direction/acting to air combat scenes are all done to perfection. Especially the air combat scenes, I was not expecting such good choreography and believable display of air combat sequences from Pakistani cinema. Performances were also good, loved Hania Amir's realistic portrayal of Sania Taimoor . She has immense screen presence and charm. 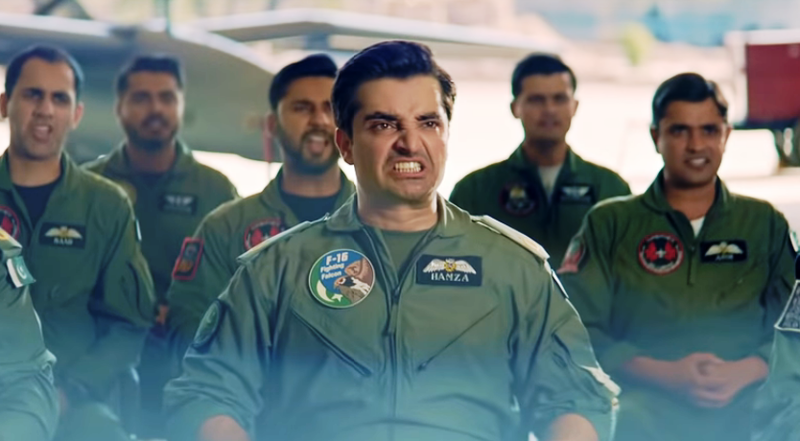 Hamza Ali Abbasi was also convincing and appeared larger then life as an Air Force pilot. His voice and persona topped with some amazing acting talents was a delight to watch. Rest of the cast including Ahad Raza Mir was superb too but their disarrayed story arcs made them appear insignificant. Music was pleasing too and superb choreography made it a visual treat. Loved the wedding song which was composed, choreographed and performed to Bollywood standards, something which is rare in Pakistani movies. The backdrop of northern areas is used beautifully through out the non airforce scenes, making this whole cinema experience a visual spectacular. Overall a very well made, performed and directed product which suffers only from it's TV drama serial style screenplay and story telling. The performances by the principle cast and the infused patriotism through brilliantly shot Pakistan Air force sequences never let you get bored but doesn't excite you either. But to be honest most of the audience will not even notice the screenplay issues and will be focused on the beautiful scenery and talented cast on screen, I go with 3.5 stars. On a separate note I believe this film could have been released on 14th August to release the pressure of Pakistani limited box office because of other two major releases Jawani Phir Nahin Ani and Load Wedding.